Alitretinoin is a medication that is used to treat chronic hand eczema. It is sold under the brand name Toctino. It is a type of retinoid. Retinoids are derived from vitamin A. It is not fully known why it is effective in the treatment of hand eczema. One benefit of it is that it can help reduce inflammation. One of the main symptoms of eczema, that makes the skin red and hot. It is only prescribed when your eczema doesn't improve with the use of potent topical steroids. 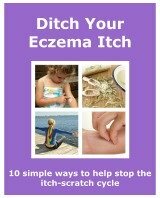 It is also prescribed if the eczema is causing problems in your everyday life. Toctino is not available in all countries at present. The brand's website has more details on where it is available. In the treatment of chronic hand eczema, it is taken in capsule form. It is normally given as a cause of between 12 and 24 weeks. The length of time that it is given depends on how severe your eczema is, and how well it responds to Toctino. If your eczema shows no signs of improvement after 12 weeks, then your doctor may stop the treatment. Also if after completing the course your eczema flares up again, another course may be prescribed. It is normally only prescribed by a dermatologist, or by a doctor who has experience of, and an understanding of the medication. This is because there can be some serious risks and concerns from taking it. Toctino will under no circumstances be prescribed to anyone who is pregnant. It has been found that it can cause a higher risk of a miscarriage occurring, and of severe birth defects. There are strict guidelines that must be adhered to by women of child bearing age, before they are prescribed Alitretinoin. Your doctor would get you to sign a form to say that you understand the risks that can occur while pregnant when taking Toctino. There are other risk factors which mean that it shouldn't be taken. There are also some precautions you should take while completing a course. Alitretinoin can cause your skin to dry, especially on your lips. So use a moisturiser liberally and regularly. It is not usually prescribed to anybody under the age of 18 years. There has not been sufficient research to say whether it is effective or safe to use on minors. Occupational hand eczema is common in some jobs, and can be severe and painful. If this is an issue for you this treatment may reduce your symptoms, and help you to manage the condition better. Even though there are a lot of risks and concerns for alitretinoin, it has proved to be a very effective treatment for some chronic hand eczema sufferers. Particularly when used alongside an emollient, and when you look after your hands when doing everyday tasks.